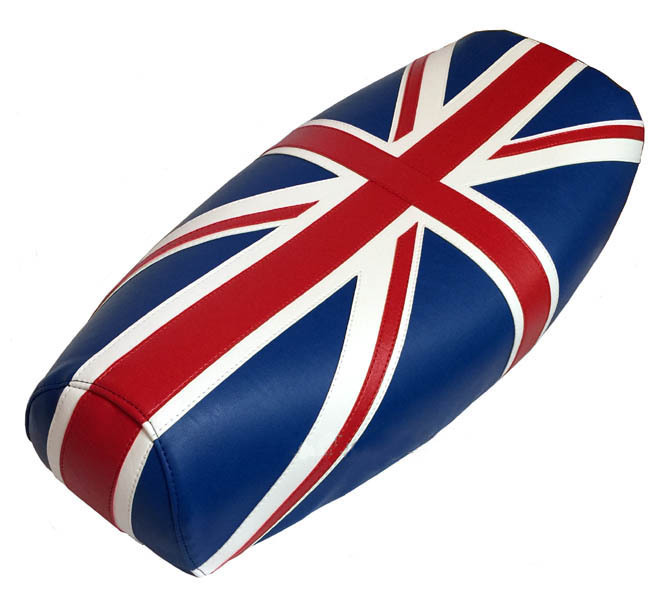 Our beautiful Union Jack makes an amazing statement on any scooter, and will fit any 10 inch scooter wheel. 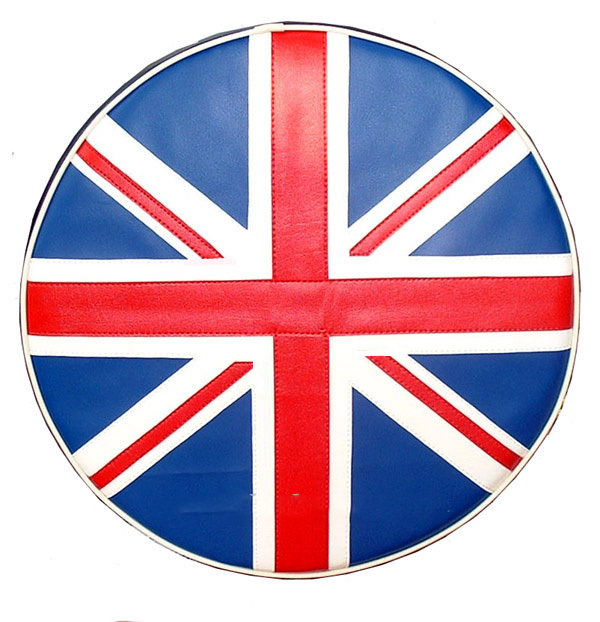 This British Flag tire cover is made from all marine vinyl, so not only is this waterproof, but it's UV rated to hold up in the sun and is an extremely durable material intended for years of serious use This is a fully sewn tire cover, not printed. 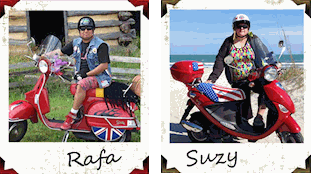 The sides of this wheel cover are black, and is finished with white piping.